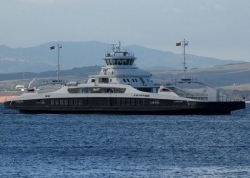 PBES has announced the installation of two 1MWh battery systems aboard M/F Gloppefjord and Eidsfjord, Norway’s latest battery-electric ferries, which service the E39 highway route on the 2km (1.2 miles) crossing between the Anda and Lote docks. The zero-emissions ferries are part of an ongoing push for zero- and low-emission public transportation in Norway. Each 106m vessel can carry 120 automobiles and 349 passengers on the eight-minute crossing.